Available on Wednesday, November 7th for Columbia School District! 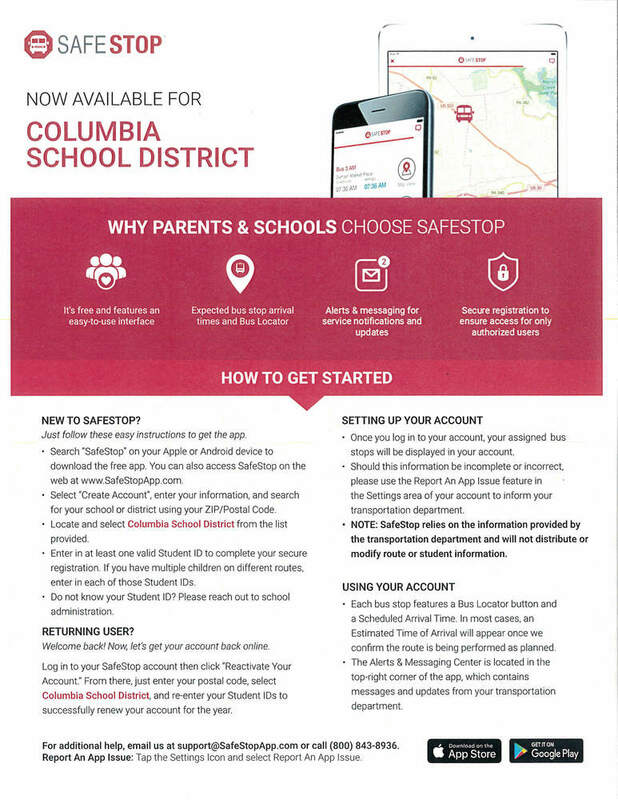 The SafeStop App is a program designed for parents to have access to their students where a bouts when on a bus and notify them when their child is to be dropped off. This utilizes real time GPS data and route directions. The students ID number is their 5 digit PowerSchool ID.